I reviewed Correxiko’s Collagen Supplement a few months ago, and since then, I’ve had the opportunity to get to know more about the brand and chat with one of their founders. 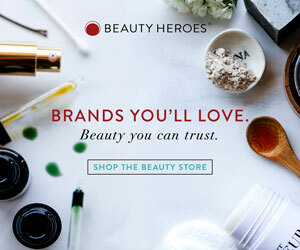 I think the green/clean beauty community has some of the most amazing people on the planet, and the founders of Correxiko are some of the loveliest. They are however, very media shy and prefer to stay out of the limelight. They just like to let the quality of their products do all the talking. I am sure at least some of my regular readers would have guessed by now that I love natural skincare supplements. Raw Complexions is an Aussie skincare supplement brand that offers two skincare powders, Skintox Beauty Food and Skin Balance Beauty Food. Good skin, I’m starting to realise, is the result of a three-pronged approach that includes clean skincare, healthy eating and exercise. There are, of course, people who have flawless skin without doing any of the above. O how I envy them! They are like people who are born rich. Unfortunately, I do not have an inheritance or naturally great skin, so my only option is to work for it!